J2 Military Entrenching Shovel is made of the same ultra solid, high carbon steel that our top selling C1 and RS Military folding shovels are made of! That means the same toughness, durability, and power. 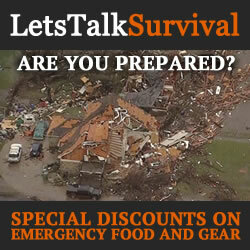 Store it in your car truck for emergency situations and use it to dig out your campsites. This versatile tool transitions seamlessly from your backyard to the great outdoors. 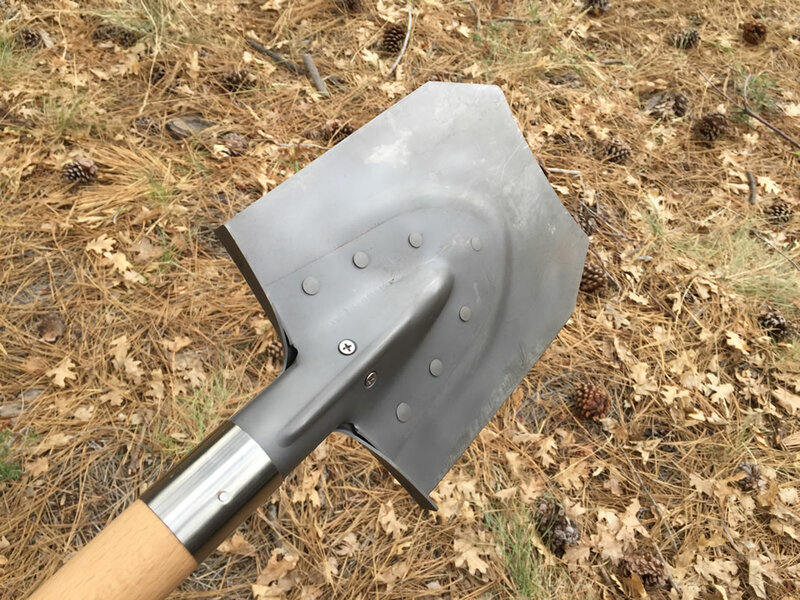 The J2 Military Entrenching Shovel is a compact multitool with a rugged fixed hardwood handle. The handle is made from a high-quality polished white oak shaft 16″ in length and slightly tapered from the socket to the end of the handle where there is a 1-3/8″ ball on the end. Approximately 1″ up from the ball, there are five deep 1/16″ grooves for added grip. The combination of these two features is designed to ensure a firm grip preventing any slippage off the end of the handle when swinging it. Additionally, there is a 3/16″ hole drilled through the center of the ball with a length of thin paracord for use as a lanyard. The lanyard can also be used to hang the shovel from. The handle shaft extends all the way to the end of the socket for enhanced durability. Approximately 2″ from the end, there are two 1/2″ #2 Phillips screws securing the shaft in the socket. Additionally, the end of the socket is reinforced with a 1-3/4″ polished steel collar and a small brad nailed through, further securing the handle to the spade. 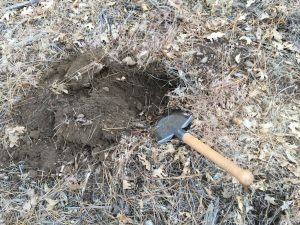 The advantage of a wood handle over a steel one on a shovel or similar bladed tool is that much of the shock from an impact when striking a hard object is absorbed by softer, less dense handle material. Whereas, the shock from the impact would be channeled directly to the operator with a metal handle. The J2’s shovel head has a unique dual-point design forged from a rugged piece of high-carbon steel for its high strength and durability. The spade is further reinforced with strengthening ribs around the spade and along the top and bottom of the shaft socket, in addition to a secondary steel plate that makes up the back half of the handle socket. It is riveted to the spade with 7 heavy-duty steel rivets rather than welded so the seam will remain slightly flexible. The result is a stronger bond between the two surfaces as the shovel head flexes. On either side of the shovel head, there is a full-width step shoulder forged into the tail-end of the spade. They are 5/8″ wide at their widest point, slightly tapering inward, designed to provide an ample platform to support the sole of your foot as you apply a downward force to amplify the cutting power through to the tip of the blade. The combination the forged strengthening ribs and wide step shoulders greatly enhance the strength and rigidity of the J2 entrenching shovel well enough to withstand the force of aggressive prying, as well the weight of a car or light truck driving over it without risk of any serious deformation. The outer edge of the shovel face is polished, with the FiveJoy logo and a convenient 15-centimeter rule etched into the steel so they show vividly. Very handy for when you need to dig a hole to a certain depth. The span between the two points at the end of the shovel head has an aggressive sharpened concave edge, especially useful for tasks like stripping off tree bark from the outer surface of a log or slicing through root-filled soil with ease. The dual point design is particularly advantageous for cutting through roots as the concave area between the two points will not skip off a root like what often occurs with single-point shovels. The outer edges of the two points are ground with a flat 90° edge set at a 60° angle to the sides of the shovel head. This flat surface on each side of the shovel is perfect for striking against rocks and bricks to split them as the force is isolated and directable without risk of damaging any of the sharpened edges. Additionally, this two-pointed design allows the J2 to lay flatter against the floor if you happen to be using it like you would a flat shovel. Both of the opposing edges along the sides of the blade are also sharpened making them ideal for light tasks like feathering a stick or slicing through rope, as well as heavier tasks like chopping through roots and small branches. Out of the box, the shovel was not sharp in the sense that you would expect to fillet a fish with it. But it was very sharp like you would expect a multi-purpose shovel to be. And since it is made from a high-carbon steel, it is very easy to sharpen and maintain. A simple sharpening puck and some honing oil are all that you need to keep the edge in tip-top shape. 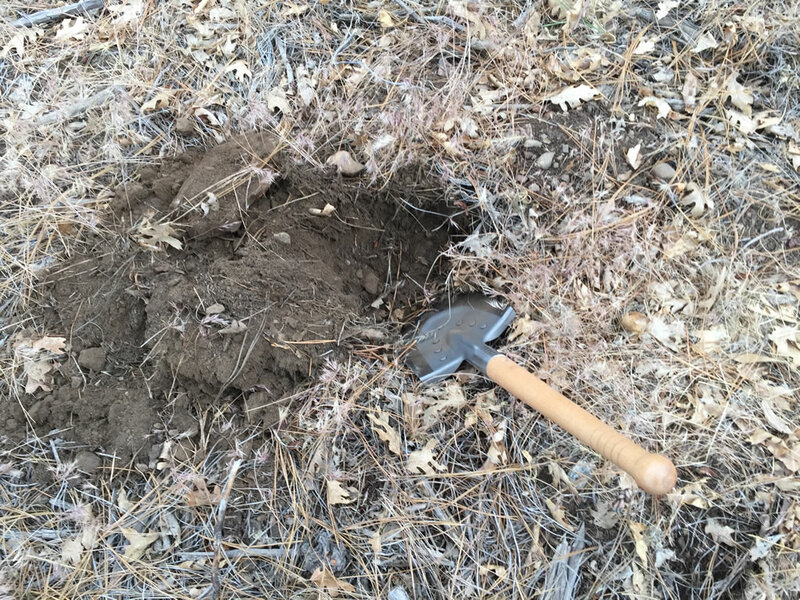 In the course of testing the J2 shovel, I started hacking at a tree branch nearly 4″ in diameter. In doing so, I did not feel much of the impact through the handle like I thought I might. The hardwood handle did an outstanding job of insulating my hands from the shock of each impact. As I made my way through the section of log, the blade bit deeply with each swing causing the chips to fly. In fact, it only took about 12 strikes before I made it all the way through the log. The J2 chopped through the log without much difficulty, and with absolutely no chipping or rolling of the blade’s edge. 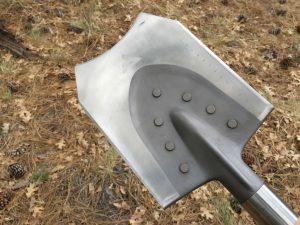 While the J2 Entrenching Shovel certainly does not have any of the major characteristics of an axe or hatchet, it is comforting to know that if I ever needed to do some light chopping, I could at least use this shovel to get most jobs done without risk of seriously damaging it. The J2 Military Entrenching Shovel is a compact, yet versatile multi-functional shovel. 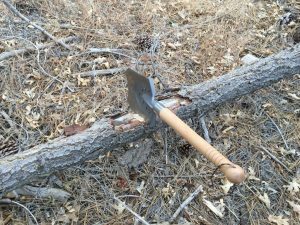 Whether you use it in your garden for loosening soil, bring it along on a campout for leveling a campsite, or carry it in your survival kit for emergency situations when you might need to build an emergency shelter or dig out a tire, you simply cannot go wrong with this tool. 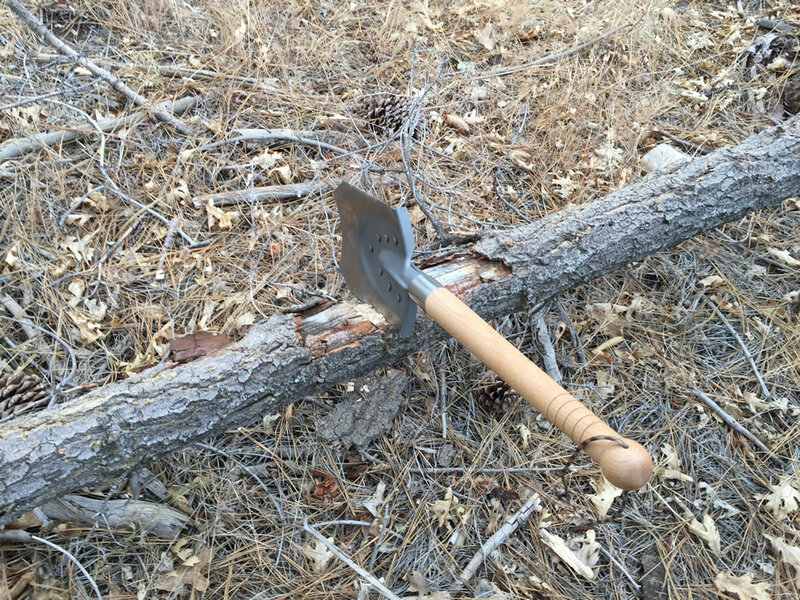 It is fairly priced and virtually indestructible… Short fixed hardwood handle with a steel reinforcing collar, forged two-piece high-carbon steel shovel head with integrated strengthening ribs and wide step shoulders, and multiple sharpened edges make the J2 an ideal option for your bug-out bag or survival kit for your car or truck. Take a look at one for yourself if you ever get a chance. You can find this and other FiveJoy products on Amazon. FiveJoy designs and develops technology that matters. 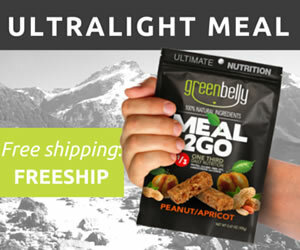 Our mission is to deliver eco-friendly and healthy lifestyle solutions to the community. We aim to provide products that improve lives and protect the environment. Pursue a Better Life. Pursue Adventure.